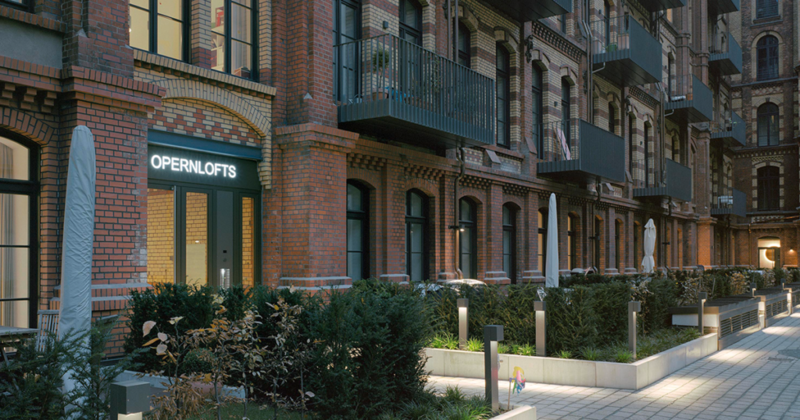 In direct proximity to Kastanienallee in Berlin Mitte a loft project is underway to create 39 spacious apartments covering approx. 6.000 m² of floor space. Inventio is participating in initiator Optima-Aegidius-Group of Companies’ exceptional project, handling project coordination including sales and marketing on behalf of the developer. In direct proximity to Kastanienallee in Berlin Mitte a loft project is underway to create 39 spacious apartments covering approx. 6.000 m² of floor space. The industrial monument dates from the Wilhelminian era and over the last 60 years has been used by the Komische Oper Berlin as a theatrical set workshop and prop warehouse – the entire collection of props was stored here. The historic structural fabric with a well-preserved brick façade and 3.80 metre high vaulted ceilings is part of one of the few industrial buildings dating from the turn of the 19th century not to have been destroyed. Just a few minutes from the capital’s actual geographic centre lofts are being created which are worthy of this name. 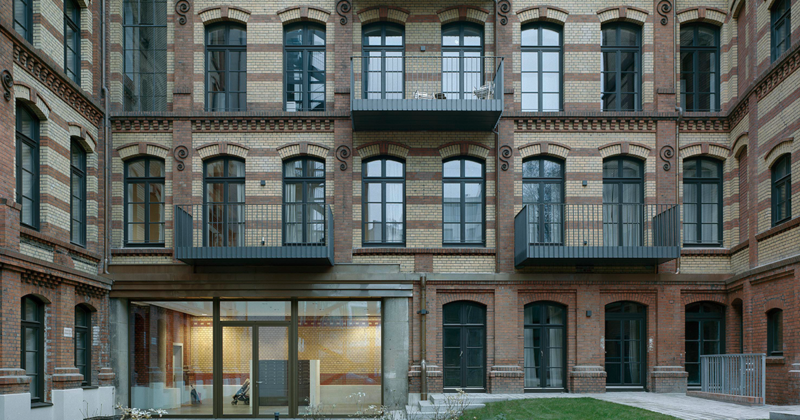 HISTORY: The commercial complex Zehdenicker Strasse 12B, comprising two buildings, was constructed between 1890 and 1900 on the footprint of the block inner area, most probably as a large-scale laundry. The complex was used by Wäschefabrik Berlin und Bielefeld AG from the 1920’s until 1937. 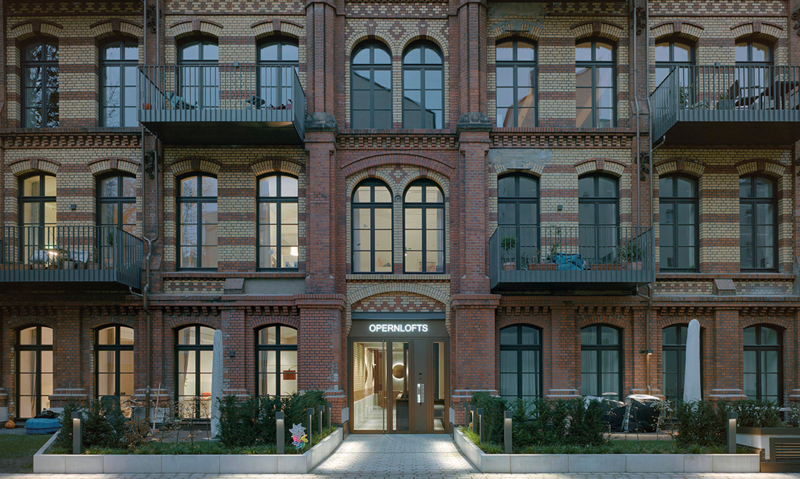 In addition to the laundry factory the historic usage catalogue of the Berlin Mitte Borough Office includes additional entries for a button factory; a lithographic print shop; a shoe and leather furniture factory and a matrass factory during this period. From 1938 the site was in the possession of the Reich Treasury (Army), which used it for the production of army uniforms and equipment until 1945. Following World War II, which the complex survived without any irreparable damage, the property was used by the Komische Oper Berlin from 1947 to 2007. While the majority of the buildings were used by the set workshop other areas were at various times also used as a rehearsal stage, opera studios and ballet and orchestra rehearsal rooms. The site is located in the Mitte district. Berlin Mitte is the centre of Germany’s capital city – home to the Bundestag, Bundesrat, Chancellery, embassies, associations and, not least, the media. Mitte has always been the centre of power – be it the Prussian Stadtschloss city palace; the GDR People’s Chamber or the official residence of the Governing Mayor of Berlin – the powerful and influential have always felt comfortable in Mitte. In contrast to some other government districts Mitte has remained a place to live. The hip area around Hackescher Markt is particularly popular in this regard. 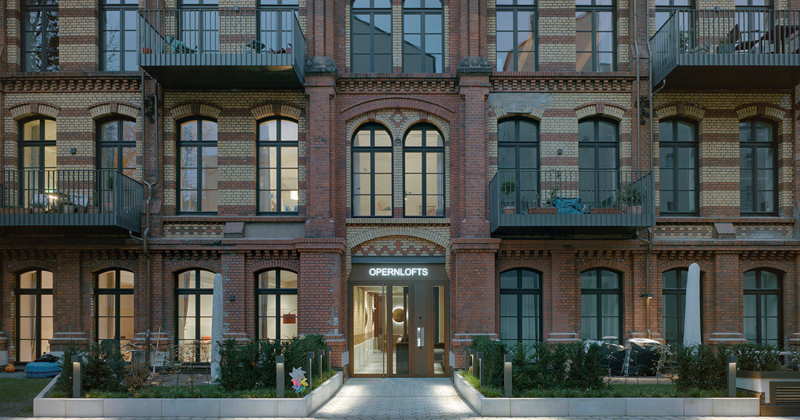 The development is sited in an excellent inner city location in the triangle of hip neighbourhoods Spandauer Vorstadt, Rosenthaler Vorstadt and Prenzlauer Berg. These districts, with their well-balanced mix of residential property; small commercial units, stores and numerous restaurants, clubs and bars, have in recent years attracted gallery owners, fashion designers and artists and many, mainly young, families as a place to live and work. In addition to the diverse culinary and cultural life on offer it is above all the proximity to the centre and the increasing volume of painstakingly restored historic buildings which are responsible for the neighbourhood’s development into a “trendy” residential district. Connections to public transport are excellent. At Rosenthaler Platz, approx. 300m away, there are an underground station (U 8 line) and stops for several tram and bus lines. The major transportation hub Alexanderplatz station, approx. 1 500 m away, also offers excellent connections to long distance and regional trains. Zehdenicker Strasse is located between Schönhauser Allee, one of the district’s best-known shopping streets, and Kastanienallee, the hip catwalk for urban bohemians jokingly known by Berlin residents as “Castingallee”. The border to Prenzlauer Berg runs close by, near to the Weinbergsweg park across the street. 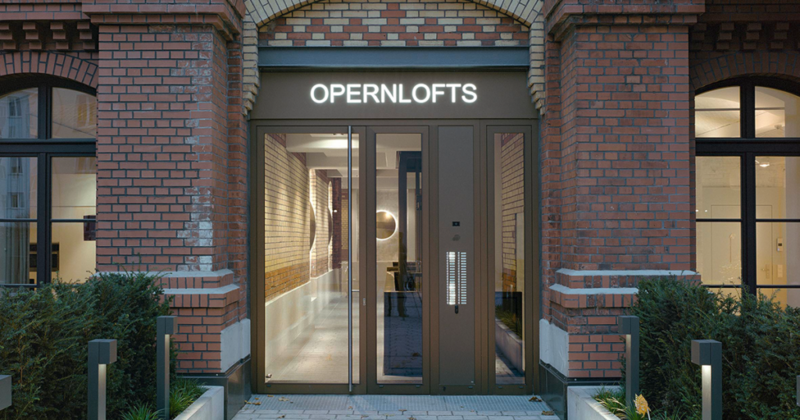 The advantage of the Opernlofts site is, among other things, its quiet position which, on the one-hand, provides access to all relevant art and hip areas but, on the other, represents an oasis of calm in the heart of the city. The project is being planned by Berlin office “Pott Architects”, which has a reputation going far beyond the city’s boundaries. 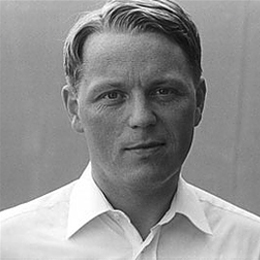 Ingo Pott and his office have made a name for themselves above all with their redesigning of Berlin’s Reichstag, commissioned by and in collaboration with Sir Norman Forster. Over and above this office stands for individual, innovative residential projects and creative cultural projects. This is also illustrated by the CO Berlin idea and project, currently still showing art by established and up-and-coming artists at the Altes Postfuhramt on Oranienburger Strasse and co-founded by Ingo Pott in 2000. Pott Architects will add a storey to the historic building and extend the top floor with a spectacular new edifice. The view from the top two storeys promises to be breath-taking – thanks to the slightly raised, topographically prominent location the city lies at the viewer’s feet, both literally and metaphorically. We will gladly inform you without obligation about this project. This project is already 100% sold out. However, we will gladly inform you without obligation about further projects. We know what counts: individuality, innovation, impulse.